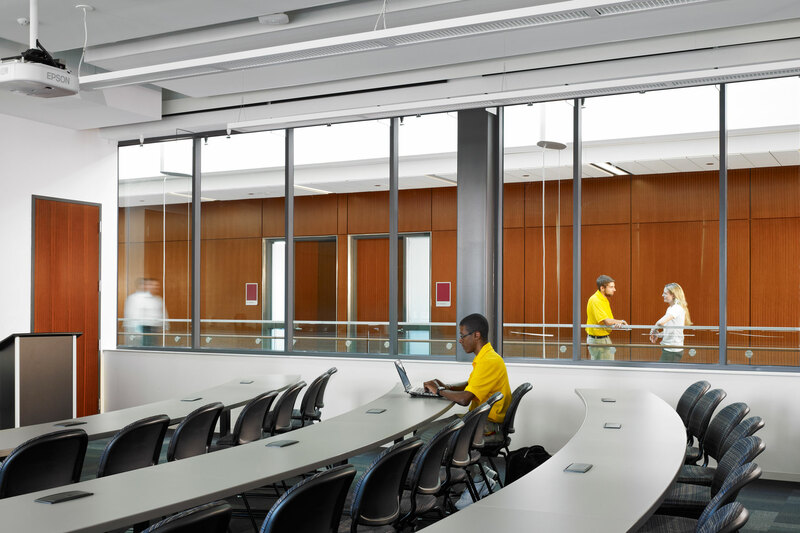 This light-filled classroom and faculty building has become Loyola University’s southern gateway. The university wanted the building to fit in with the collegiate brick buildings of the existing campus, resulting in a traditional-looking brick, limestone and clay tile exterior. Inside, however, the building proudly displays its passive and active sustainability credentials. 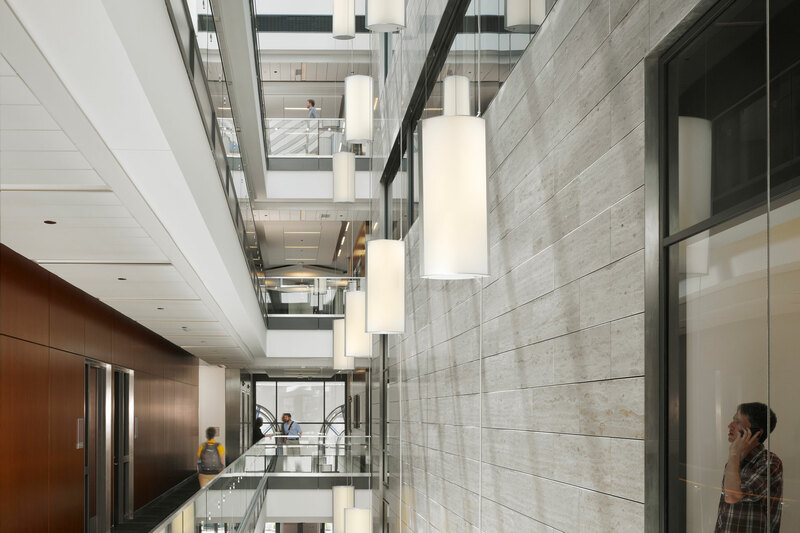 A central atrium organizes classrooms and faculty spaces around its perimeter, and provides natural ventilation and abundant natural light, creating a vibrant internal campus hub. The result is a net-zero ready, LEED Gold building with an energy use intensity less than 30 kBtu/sf – verified in operation. The climate concept relies on a high performance exterior enclosure with performance recommendations developed by Transsolar, including triple glazing. 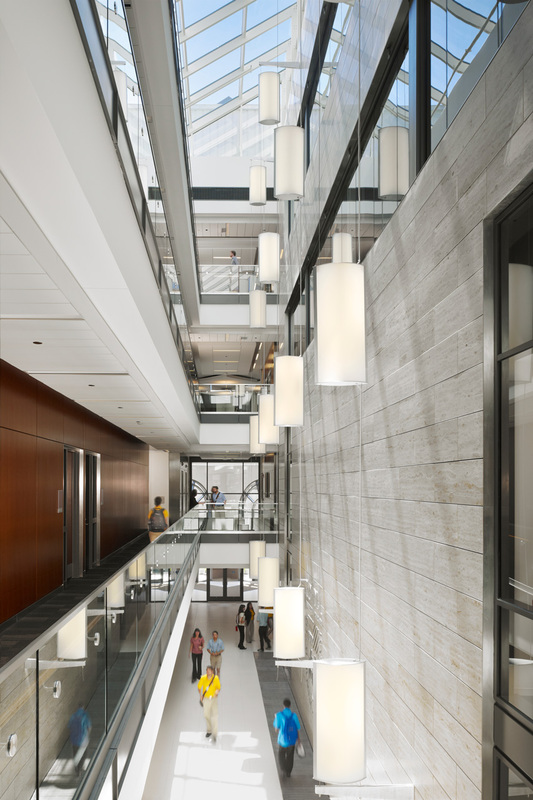 When outdoor conditions permit, all air handling systems are disabled and the central atrium passively induces natural stack-effect ventilation via manually operable windows. This natural ventilation system has been widely accepted by the occupants, who open and close windows in response to LED indicators in each room. 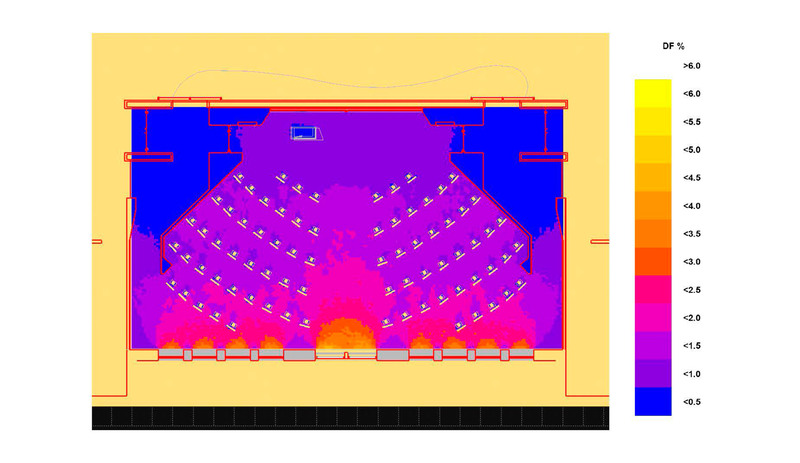 Transsolar performed extensive studies of the daylight performance, natural ventilation potential, and shading requirements of the central skylights. In mechanical ventilation, minimium air supply is provided as necessary for indoor air quality. Local heating and cooling is provided by custom-made radiant ceiling panels consisting of plastic capillary tubing and gypsum board.